On December 14th, Korean media outlet, Dispatch, released photos of OH MY GIRL‘s ARin, IZ*ONE‘s Jang WonYoung and GFriend‘s UmJi! They were posing for photoshoot with the theme ‘Christmas party of girl group maknaes’. For those who do not know what ‘maknae’ means, it refers to the youngest member of a group. All of them look adorable together and they were also smiling happily into the camera! In addition to how they are all dressed in white, they give off an innocent and youthful look. Aside from group pictures, they had also taken individual shots. 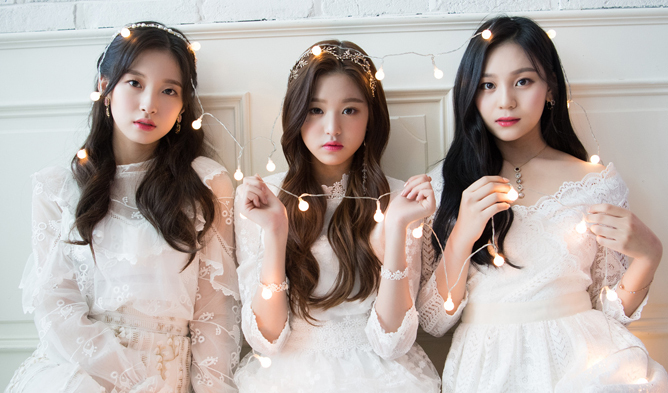 Fans who have seen the photos talked about how pretty all of them look and wished that they would be able to see collaboration between all the three girls in the future. Hopefully their wish will come true!